driver staffing agency | Platinum Drivers Inc.
You’re at a trucking company and you’re looking for good candidates who’ll work for you, right? But how do you find those people? Do you hang signs up around town? Put your phone number on the back of trucks and hope they’ll call and inquire about jobs? Go to places where potential truckers might congregate and try to recruit them? While there are a lot of ways to find qualified potential truckers, one of the best ways is to use a truck driver staffing agency. 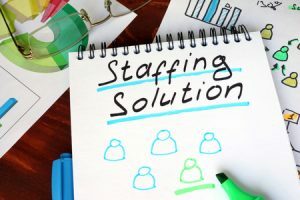 Why use a staffing agency to find drivers? For starters, the agency is in contact with vast networks of people, such that they have more contacts than you do. Many agencies have workers dedicated to recruitment efforts, so they’re doing some of the work for you– so you don’t have to! Is time of the essence? In trucking, time is always of the essence, isn’t it? You needed good drivers like… yesterday. Did you know that if you’re handling your own recruitment efforts it can take almost a month to hire someone new? First you must post the job, then you have to look over resumes, and then, of course, come interviews. All of this takes a lot of time. Why not give those chores to the staffing agency? Let them do the work, handling the “hassle of hiring” for you. This can save time. Staffing agencies who specialize in truck drivers know and understand the needs of your trucking company. They speak the same language and can help find you the RIGHT candidates. Since agencies are in the business of finding the best candidates for jobs, they’ve built up credibility in their field. They’ve also developed strong relationships over the years. Their expertise in matters of hiring can really help you– the trucking company– accomplish tasks and meet your goals. As a trucking company, your primary focus should be on moving goods from one place to another via trucks. The logistics of finding and hiring truckers involves a lot of time and work, so rather than focus on that yourself, why not hire a truck driver staffing agency to handle that process? Platinum Drivers connects trucking companies with great truckers; call 844-800-1421 to learn more.